[13:23] <+Robert> Here we go (again). First off, thanks for having us. I’m Robert Hamberger, author of the tabletop role playing game “Contact”, and SilentPat is my publisher (Clockwork Publishing). 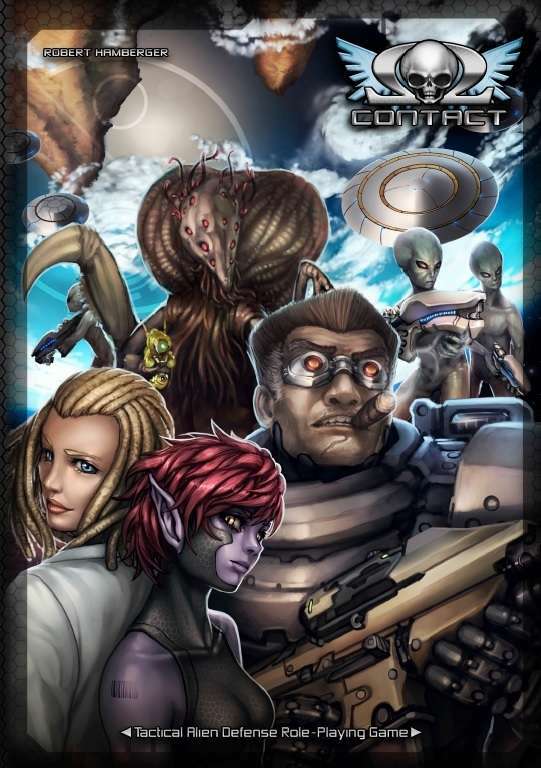 We are from Germany and have just published the Contact RPG as an english-language PDF. As I understood, this is meant as Q&A/discussion of the game. [19:02] <+JMThompson> Hello all and good evening. I am Jonathan M. Thompson, the head of Battlefield Press and the chief designer on the new Ninja High School the Anime and Manga Role Playing Game. Ninja High School was developed by Ben Dunn 30 years ago, and has been a steady seller ever since. [19:04] <+JMThompson> We have secured a license to develop the property into the first ever RPG for it, to help celebrate its 30 year run. [19:01] <+ChadDubya> Hi Gang! My name is Chad Walker. [19:01] <+ChadDubya> First things first: BIG THANKS to Dan for running #RPGNETQ&A, and thank you all for being here (or reading the logs later on). I’m super stoked to be here. [19:02] <+ChadDubya> Third: I might be cutting and pasting from various places… including text straight from my game if necessary. [19:02] <+ChadDubya> Ok, let’s do this. [19:02] <+ChadDubya> So I’m an IT security professional by day (technically, a “malware/threat hunter”), but a raging tabletop gamer nerd at virtually all other hours. 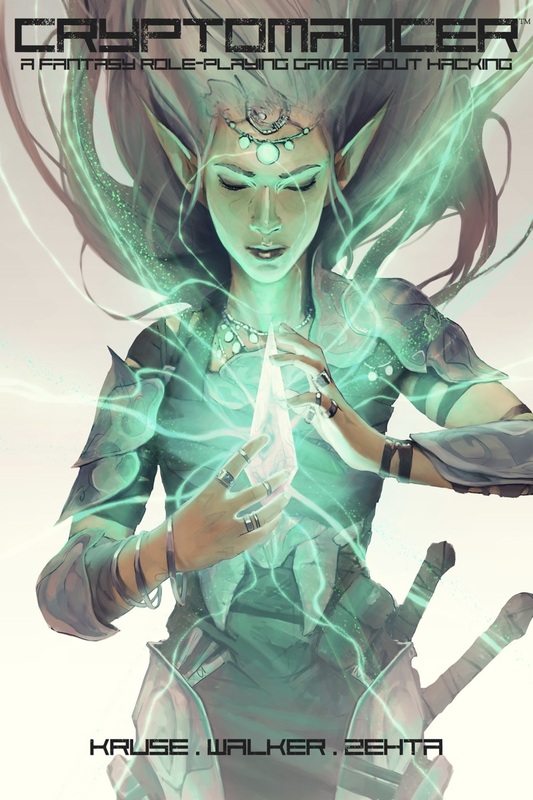 I’m getting ready to release my game “Cryptomancer: A fantasy role-playing game about hacking” in August 2016, on DriveThruRPG, PDF or Hardcover/PDF bundle. [19:03] <+ChadDubya> In gamer parlance, think of Cryptomancer as “Shadowrun-in-Reverse”… instead of Tolkien tropes hurled into a William Gibson cyberpunk future, Cryptomancer takes modern conceptions of cybersecurity, physical security, and national security tradecraft and throws them into a medieval fantasy setting. [20:02] <+Ray> Hidey ho, neighbors! I’m Ray, author, creator and peon to Warsong: The Fall of Eldorande. It’s a tabletop RPG where you play an agent of fate in a dying world, steering the course of history with every decision you make, and action you take. [19:11] <+Sam_Rikard> So for the formal introduction. Hello everyone, I’m Sam Rikard. I’ve written a few novels. Done some work in a castles and crusades expansion, and a few other small contracts here and there. I’ve spent the last several years building an original concept D20 game that simplifies the rules, while grounding it with the fantasy systems we all love. [19:12] <+Sam_Rikard> The Eldarlands D20 RPG is in production and currently on Kickstarter with the hopes of getting me out of my day job to write full time. Whether it’s a successful campaign or not, this book is going to happen.